We give you all the information you need to make selling sheds as easy as possible! We look for dealers with vision and integrity who are willing to grow and take pride in offering a quality product. In order to become a dealer you must qualify with a current credit and business history inquiry. We will ask whether you have a current sales lot and whether you currently sell sheds or similar products. We require that you purchase several in-stock sheds for display. Please note: We do NOT operate on consignment display setups. Qualified applicants may receive assistance through wholesale discounts, referral programs, jump-start in-stock displays or commission-based sales. We do NOT operate on consignment display setups. We minimize our backlog so point of sale until delivery is a comfortable time frame. Quotes and proposals for custom orders are provided immediately so that you do not lose a sale. We provide a quick order confirmation (no more than 24 hours) so that you know exactly when to expect your completed order. 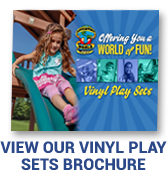 We offer our dealers attractive and professionally printed brochures for branding with your own logo and contact information. Promotional and seasonal discounts are offered to assist our dealers in passing along savings to their retail customers. Commercial account and contract-based inquiries with builders, landscapers, developers and municipalities are always welcome. Interested? 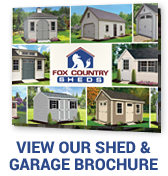 Fill out our dealer form below or call Toll Free: (877) 25-SHEDS. Please tell us a little bit about yourself and your current business in the form below. All new dealer accounts must be approved through a business and personal credit check. Please note that we do NOT operate on consignment-based display agreements.